Sweaters are perfect for the A/W season and this roll neck is everything we are loving. 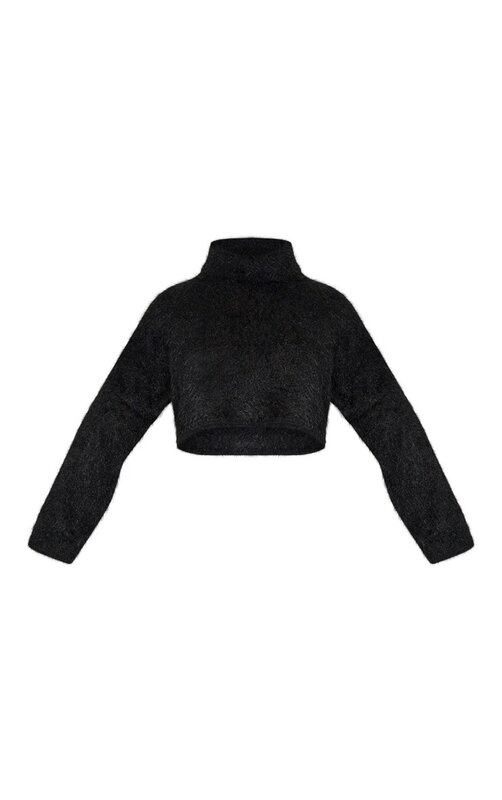 Featuring a black fluffy knit material with a roll neck and a cropped fit. Team this with wide-leg pants and ankle boots to complete the look.